Why is Surrey Welfare Rights Unit needed? Everyone experiences problems. Sometimes they can be quickly resolved, other times it’s not that simple. Welfare Benefit problems are particularly complex and often affect households who are facing multiple disadvantages and/or on extremely low income levels. These can lead to debts, homelessness, loss of other payments, ill health and loss of opportunity. 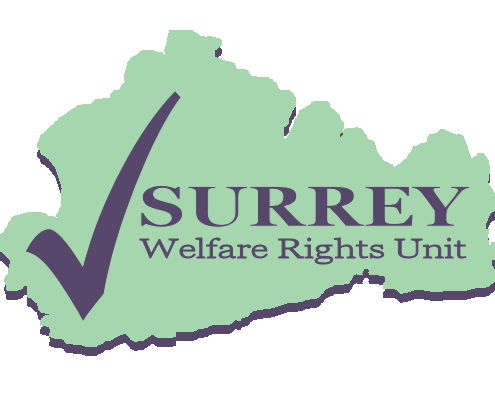 Surrey Welfare Rights Unit is a specialist support organisation that delivers services to over 70 local Surrey services. Our Advice Line for subscribers is open Monday to Friday, 10am – 4pm. Our advisers are experts in Social Security law and undertake casework for complex issues including First-tier and Upper tribunals. The Unit also provides expert support to a number of statutory networks and policy groups including Surrey County Council’s Welfare Reform Coordination Group. We work with local MPs as well as Government committees and advisory groups. The current pace and extent of welfare reforms is unprecedented. Contacts to the Unit increased by 47% in 2015/16 compared to the previous year. A copy of our Impact Report can be downloaded here.